(NaturalNews) Everybody knows they need to get healthier, but not everyone knows how to accomplish that in a simple, step-by-step program. Today, the THRIVE Online Holistic Health Program is being launched by Natural News contributing writer and educator Derek Henry (of Healing the Body), an extremely knowledgeable and caring person who has already helped thousands gain skills and know-how for achieving their holistic health goals. 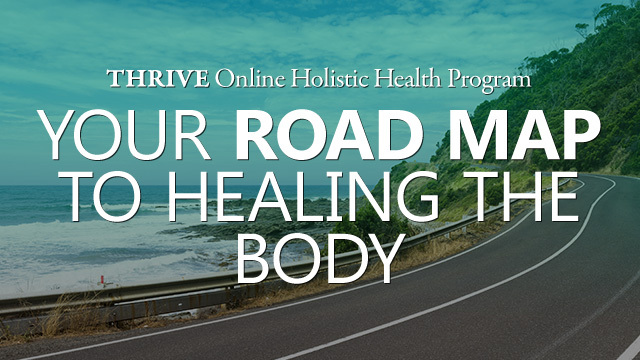 The THRIVE Online Holistic Health Program begins January 25th and registration is open right now. This is a hands-on eight-week course with detailed online instruction, discussion boards for students and an extraordinary outline to help you succeed in transitioning to a holistic lifestyle that prevents disease, supports optimal health and vastly improves the quality of your life. In addition to the weekly written course material, each week there will be a comprehensive expert interview and other high-impact resources to add more cutting edge insight to that particular module. In summary, Thrive is a holistic lifestyle rapid advancement course that can take you from knowing nothing about holistic health to living a full-on holistic, healthy lifestyle in just 8 weeks. It's like receiving a master's degree in your own personal health, making it one of the best investments you'll ever make in your own future. Students who enroll in the January 25th course through Natural News will receive a FREE Food Rising food production system that's about to be announced on FoodRising.org. This makes THRIVE an even better value, and further accelerates you down the path of self reliance. One of the best parts of THRIVE is the flexible user experience. There's no need to show up in a classroom because all the materials are delivered to you electronically each week, allowing you to read them in the comfort of your own home. Also, all this educational material is downloadable so you can have this resource for LIFE. The interviews and discussion calls are recorded and archived, so that you can review and listen on YOUR schedule and according to YOUR particular learning style. It's also important to note that THRIVE has no geographical boundaries. All that's needed is a computer and an internet connection. All the members in your household can tune in and share the educational experience under a single account.